All Patriotic Jewelry, Military Jewelry, Patriotic Charms and Patriotic Beads are 15% off! Save 15% on all yellow awareness ribbon jewelry! 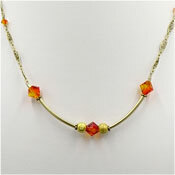 Save a whopping 30% on all vintage and antique necklaces this month!